Do you ever get deliveries sent to your home? Perhaps you buy things on the internet? These exercises will help you understand the note that you will receive if you are not at home when your delivery arrives. Look at Text 1 above. Look at Text 2 above. 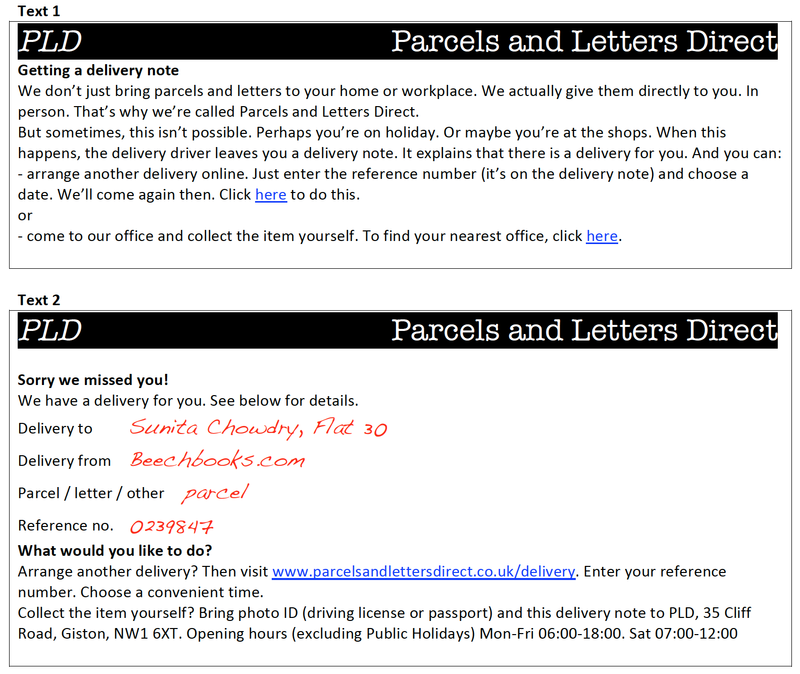 Do you ever receive attempted delivery notes like the one that Sunita received? Hopefully, next time you receive one, you will understand it better, and know what to do.